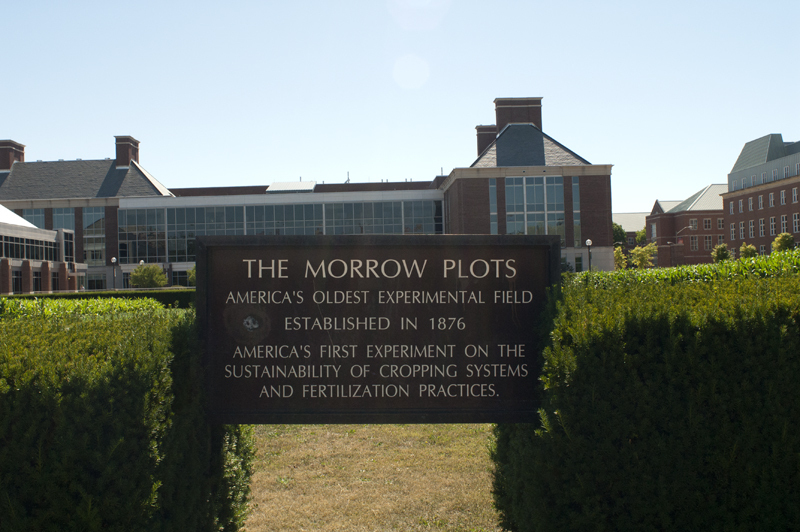 Established in 1876, the Morrow Plots, also called the Soil Experimentation Fields, are the oldest agricultural research fields in the United States and second oldest in the world, predated only by the Rothamsted Field in England in 1843. 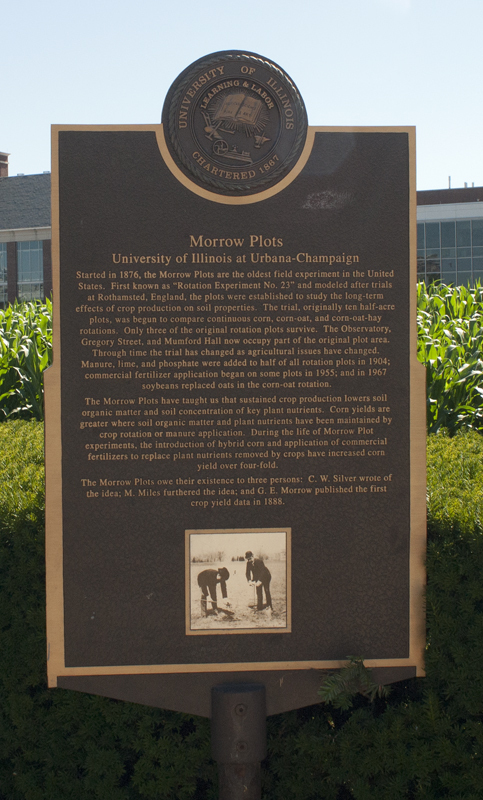 Named for George E. Morrow, the Chair of the Agriculture Department in 1876, the Morrow Plots started out as 10 numbered half-acre plots. Only three of the plots remain today: Numbers 3, 4, and 5. 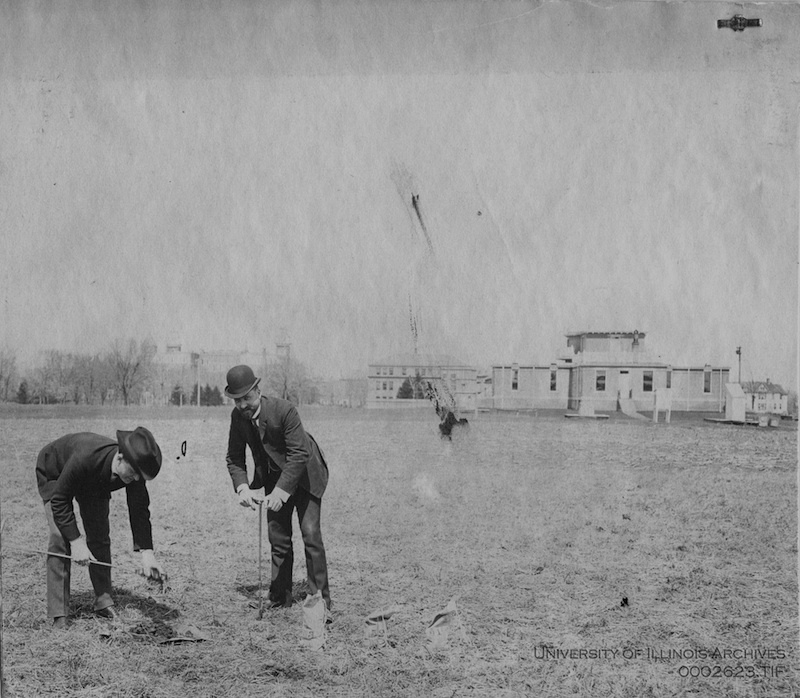 Two plots were used for the Observatory in 1895 and 5 plots were seeded back to lawn in 1903. The East side of Undergrad Library now sits where the plots once were. Plot 3 grows corn every year, while the other two plots are on rotations. The official date in 1876 when the plots were established is unknown as the first data for the plots was not recorded until the 1888 and 1889 season, which indicated that 10 half-acre plots had been planted in the previous 14 years. 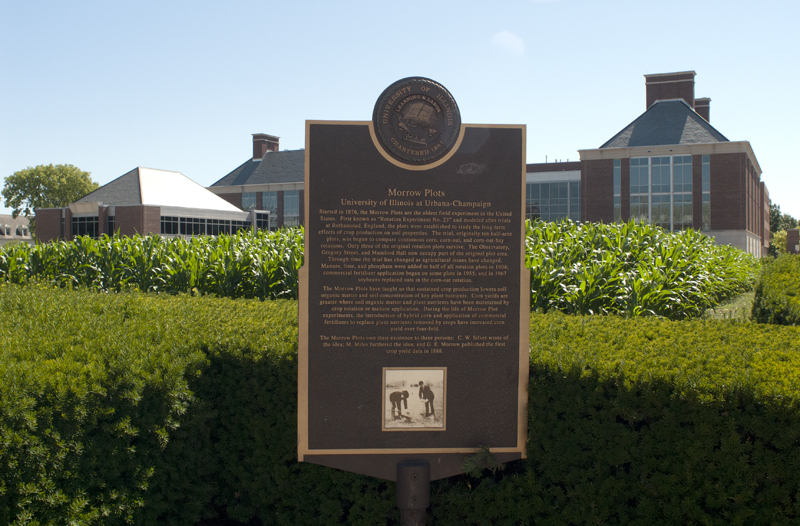 It is possible that data was recorded in the years prior to 1888, but not published until then as that year the Illinois Agricultural Experiment Station was established. 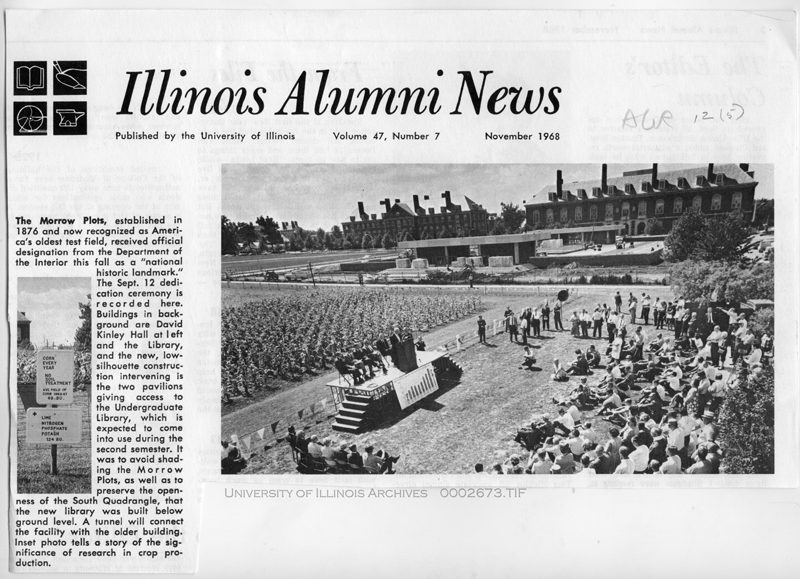 According to snippets found throughout the University Archives, three people were integral in founding the plots: Professor C. W. Silver, Professor Manly Miles, and George E. Morrow. Professor Silver visited the Rothamsted Fields in 1875 and wrote a piece in the Daily Illini about their current research. In the article he also proposed that since Rothamsted was not doing research on corn, "...a plant which especially interests us," and that the University should conduct experiments of their own; he proposed a 20 plot system. 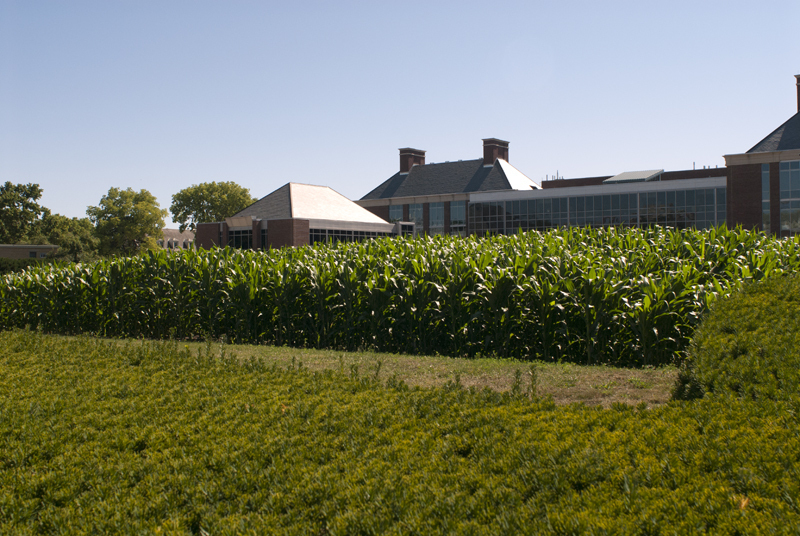 Professor Miles was hired as the Professor of Agriculture in 1875 and in the next year wrote a letter to a prairie farmer about corn experiments that he had started. 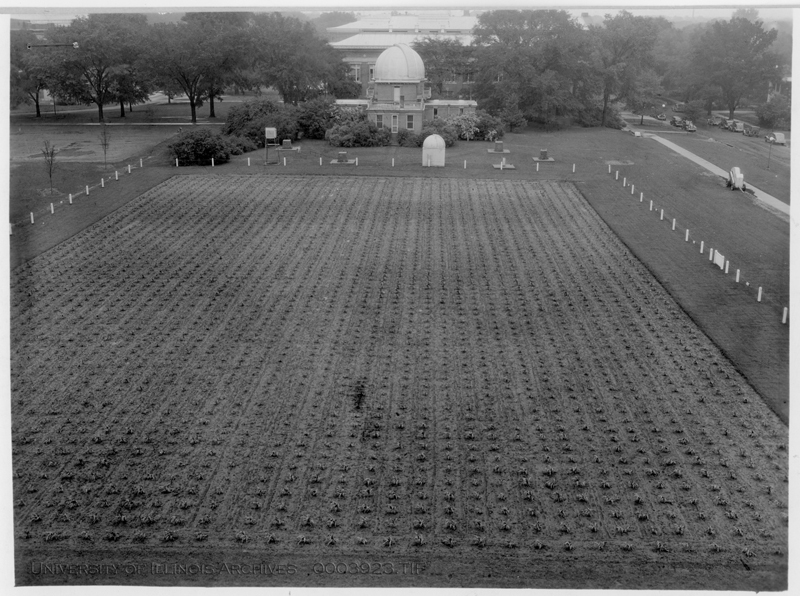 The Morrow Plots and the neighboring Observatory were placed on the National Register of Historic Places in 1968. However, the Morrow Plots are not idle, like many historic landmarks. The plots are still used every year to advance research in the agricultural field and shed light on new practices for farmers and researchers, and for the growth of one of our most required resources: Food. As Professor M. B. Russell stated at the Landmark dedication, "...it is of interest to observe that the Morrow Plots were established in 1876, the centennial year of one of the greatest proclamations of free men of all time, the Declaration of Independence... it is now clear that the lesson of the Morrow Plots represents a new kind of declaration of independence–not of political independence but independence from one of the fears that man has had since the dawn of time, the fear of hunger" (UIUC College of Agriculture, 1969). 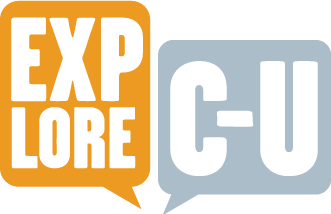 “Morrow Plots,” ExploreCU, accessed April 21, 2019, https://explorecu.org/items/show/182.